ELK RIDGE ARCHERY | "Home of KIDS BOWS and Bow Hospital"
ElkRidgeArchery.com offers quality youth and adult traditional bows also a full line of archery accessories at reasonable prices. 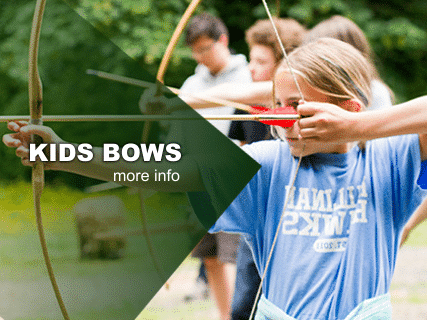 We service the needs of youths and adults who prefer a traditional longbow for hunting, 3D target shooting, SCA combat and SCA target archery. Our archery products make you a better shooter and hunter. We have the best bow and arrow supplies for sale. We have the bows, arrows, bolts, points and broadheads, rests, quivers, releases, 3D and block targets and accessories you need to succeed. Other accessories are for sale that will get you successful as a true hunter. 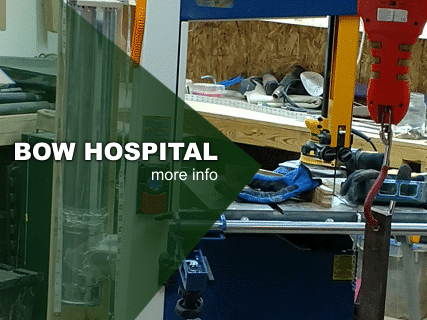 Bow Hospital is a traditional archery repair shop, committed to you and your passion for archery. We offer a variety of services to fit your repair, refinish, and weight reduction needs. Whether it’s your age, or the age of the bow, we want to get you shooting like new again. 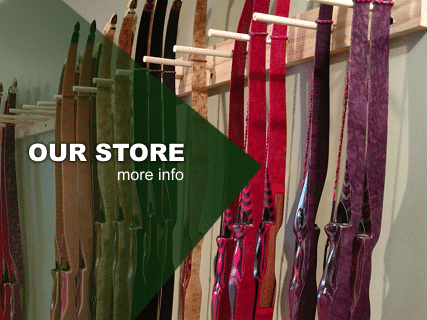 Elk Ridge Archery specializes in youth and adult traditional longbows. We build four youth bows : The Pilgrim Squirt 34, Pilgrim 42, Pilgrim 48, Pilgrim 52. Ask us about our “Trade in Trade up programs allows you to trade in your used bow towards the cost of a new one. I inherited a recurve bow from my uncle. It had a crack limb, so I sent it to The Bow Hospital for a repair. I was amazed on how well my uncles bow looked when it was returned to me. Not only was the repair made where I couldn’t tell where the crack was, the bows fine wood work was brought back to its initial beauty. The bow is a work o art and will hang in my home as an art piece. Thank you Bow Hospital. Received the bow this morning. Beautiful, beautiful work. I cannot believe this is the same bow! Will be posting before and after photos on all the forums to show your fantastic work, if you don’t mind. Thanks again! While staying with my son and his family in Maryland recently, my wife and I were very taken indeed with the Pilgrim Squirt which my son had purchased from you for my grandson. As a result, we contacted you and you were able to supply us with two similar bows for my wife’s grandsons in UK which you kindly customised for Toby and Edward. They have now been delivered and we have two more very happy grandsons. Our next challenge is for you to supply a Pilgrim 48 for Mia, my wife. Have any questions, comments for Elk Ridge Archery? Please let us know here and fill out our contact form.. Also are you a proud owner of an Elk Ridge Bow? Let us know, So we can PIN you on our Proud Owners Map and see whom else near by shares your love for Elk Ridge Archery.